Recently Arv, my husband, decided to part with an old anchor plus a pair of pristine screws leftover from a long-sold boat. He recalled consigning several marine HF radios years ago at Sea Chest and discovered it’s still in business on Scott Street in Point Loma, still owned by founder Steve von Der Ahe, who reconditions and warranties everything he sells. 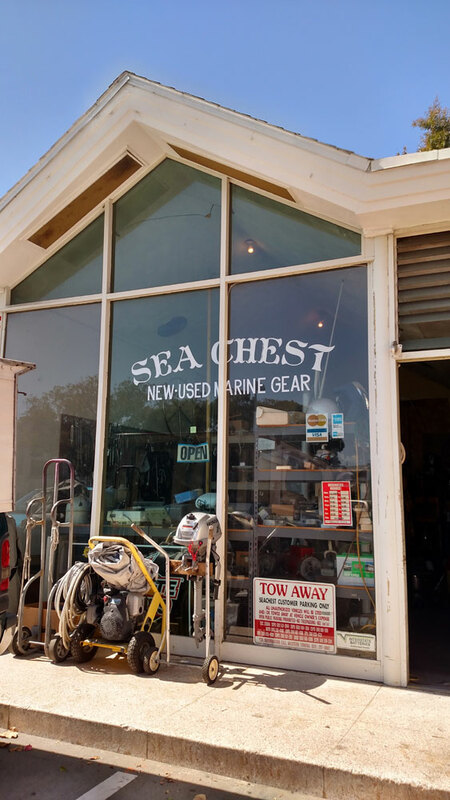 Sea Chest is among the last of once-common surplus marine gear shops in Southern California, offering up a trove of mostly used but still useful equipment housed in a funky but fascinating Tiki-style nautical emporium near Shelter Island. Its sign proclaiming “new – used marine gear” only hints at its treasures. Whether you’re looking for an anchor, life rings, fishing gear, block and tackle, electrical cords, electronics, generators, antique clocks and barometers or other equipment, you’re likely to find it here, possibly even new. If von Der Ahe doesn’t have it, he probably knows who does. He also specializes in rebuilding raw water pumps, transmissions, windlasses and other marine-related equipment with rapid turnaround service, whether you’re local or anywhere in the world shipping companies reach. Von Der Ahe and his father, both architects who had worked the building boom in Las Vegas and around California, came to San Diego to sell their sailboat while planning to move on to Costa Rica. Von Der Ahe had just bailed from the restaurant and nightclub business and was ready to change course. “Dad and I opened this place because we liked to gunkhole and we needed something to do,” while waiting for the boat to sell, he explained. 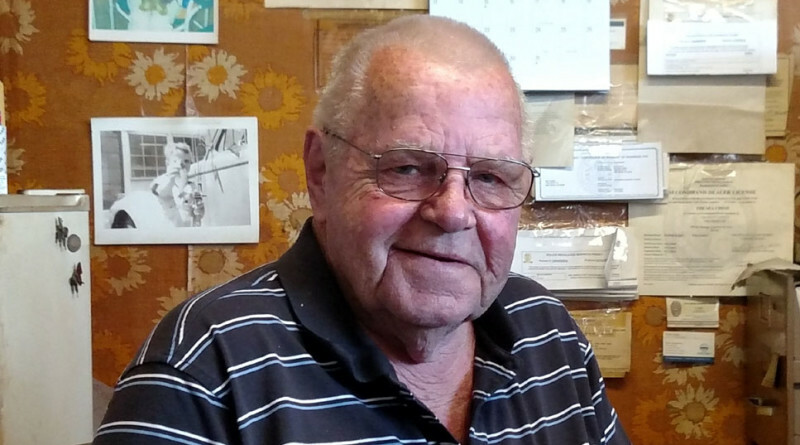 Forty years later von Der Ahe, now 75, seems surprised that he’s still in the accidental business that’s occupied his life. While he has a robust walk-in clientele, much of his business now is online and often international. Just last month, he said, he shipped two transmissions to Kenya and regularly sends rebuilt pumps and other equipment to vessels based in Alaska, Hawaii, the Caribbean and around the world. He started his website about 20 years ago, following his father’s death, as an inventory tool. Overseas customers found it easier to order via email than telephone. Now much of his merchandise is listed online, though he encourages customers to email or call him if they don’t see what they seek listed. He’s also happy to share his years of experience in boats and boating equipment to guide customers toward appropriate replacement parts if what they need is no longer available. “It amazes me how much knowledge I’ve acquired incidentally,” he said, reflecting on his 35 years as a captain, including expertise captaining others’ boats and delivering yachts. For many years he was a liveaboard, raising his family on board with his wife of 54 years before moving ashore. “But it’s only a white elephant until someone needs it,” he added. One of his joys is the interesting people he meets. On one occasion, he recalled, he was able to reunite a local captain with a well-crafted statometer his father had built that somehow had wound up in a yard sale. Von Der Ahe was delighted to restore it to the son. Check out Sea Chest at 1320 Scott Street, online at seachestmarine.com or call 619-225-1339.